Remo’s Ambassador Renaissance Snare Side brings extra warmth and control to your snare drum, while still giving good sensitivity for lighter playing. The Ambassador Renaissance Snare Side is a resonant snare drum head made with a coated single 3mil ply. The coating is a semi-transparent frosted layer, and is thinner than Remo’s regular drumhead coating. 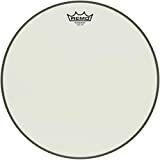 The sound of the Ambassador Renaissance Snare Side is much warmer than other 3mil snare side drumheads, with more focus on midrange and lower frequencies. The coating also provides some added control to the overall snare drum sound, meaning that ringing overtones are slightly reduced compared to a regular 3mil snare side head. 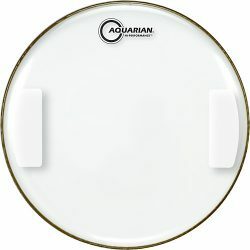 While this drumhead has the darker sound of a thicker resonant head (e.g. the thicker Remo Emperor Snare Side), the 3mil single ply is thin enough give good sensitivity to lighter touches: Snare response is crisp and defined with both drumsticks and brushes. There is also plenty of depth and body, especially with heavier hitting, thanks to the warmer sounding coating. 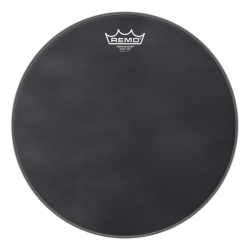 For a slightly drier and darker snare drum sound, the Remo Ambassador Renaissance Snare Side is a great choice. 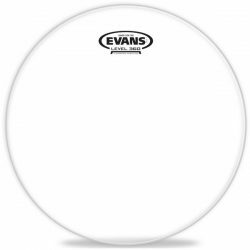 This drumhead has enough sensitivity for lower volume playing, and also gives good body and fullness when hit a little harder. 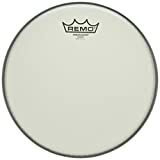 Note: The Remo Ambassador Renaissance Snare Side is also known as the Ambassador Renaissance Concert Snare Side. Remo Ambassador Renaissance Snare Side Drumhead, 12"
Note: The Remo Ambassador Renaissance Snare Side is not the same as the regular Remo Ambassador. The Ambassador Renaissance Snare Side is much thinner, and is designed to be used as a resonant drumhead only. 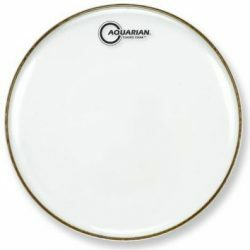 The regular Ambassador is a 10mil drumhead, unsuitable for use as a resonant snare drumhead. The regular 10mil Ambassador can be used as either a batter or resonant head on other drums. If you don’t know what any of this stuff means, head over to the Drum Sound FAQ!